Students and young people all over the world are standing up to address many significant problems facing our society—and making a big difference! We’re doing the same by launching a club at our school called “Choate for Clean Water.” As juniors in high-school, we became concerned about clean drinking water through our passion of politics and environmental studies. Our club’s focus is to raise awareness and educate within our community about the importance of clean water and how policies at the state and federal level impact our water. 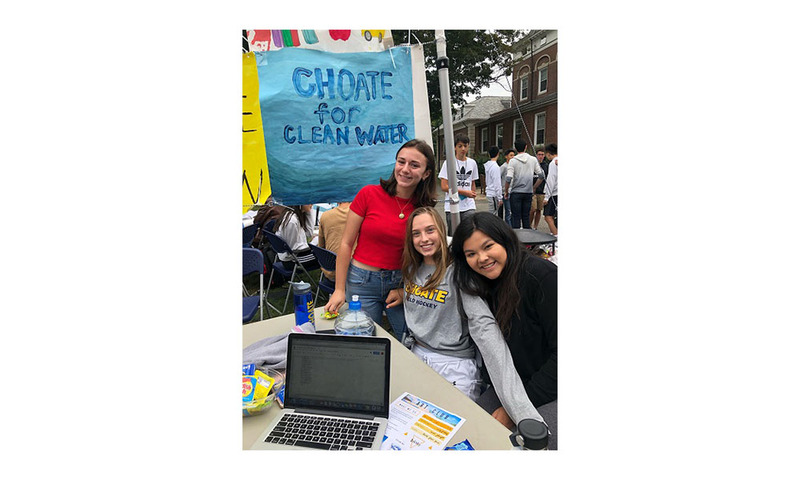 Choate for Clean Water hopes to influence students to become activists against the injustice in government surrounding the declining protection of clean water by lawmakers as well as the effects of climate change and pollution to water. In the summer of 2018, we reached out to Anne Hulick, the Connecticut Director of Clean Water Action, for guidance on our mission to educate youth on the importance of clean drinking water and our government’s role. Through research and additional meetings with Anne, we took the first steps to form our club, educate students about water policies and current attempts to roll back protections, other pressing issues (such as perfluorinated chemicals in our drinking water, stormwater run-off, stances of local politicians, etc.). We’re excited to begin developing a youth sustainability program for local elementary schools and making posters advocating clean water protection to hang up around our town. We are hoping to start off this new year reaching out to youth across America who also wish to join us on this movement’s journey to assure clean and accessible drinking water not only for Connecticut, but the United States as a whole. We will continue to update students and faculty on our progress and activism, and we’re hoping to participate in the World Water Lobbying Day at the Capitol in Hartford this March. Water is a human right, and we feel that we are responsible for protecting it. Young people truly are the next generation of leaders and it’s never too early to start! We’re leading efforts to raise awareness, make change, and protect our water, and we hope to build a movement of young leaders to join us!